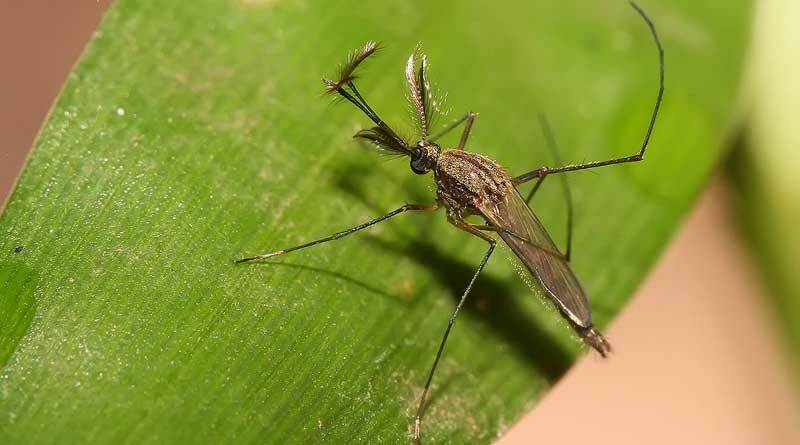 Nations around the globe should increase their vigilance against mosquito-borne viruses, a scientific review has concluded. There were a substantial number of mosquito-borne arboviruses present in Africa, and several of them have in preceding centuries or decades escaped from their historic African areas of origin to become wider public health threats, entomologist Leo Braack and his colleagues wrote in the journal Parasites & Vectors. Zika, a virus first isolated in Uganda in 1947, is currently the most recent example of this. “Many of these mosquito-borne arboviruses remain quiescent but almost certainly some of them must surely have the potential to break out under ‘Perfect Storm’ conditions to invade other geographical regions with unknown consequences,” the researchers wrote. “Various factors increase this likelihood, including expanding human populations that of necessity clear forests and woodland for cropland and increased needs of sustenance.” This placed people within reach of wild animal disease cycles. Another factor is the ever-increasing use of international travel and the ease with which infected vectors or people can carry viruses to every inhabited corner of the globe. “It is therefore incumbent upon nations and governments to maintain and indeed increase vigilance against the insidious infiltration of vectors and viruses,” the team, which reviewed mosquito-borne arboviruses of African origin in their paper, said. “All it takes is for a few infected mosquitoes or people or animals to establish the vector or virus which slowly simmers and grows until it emerges as a full-blown outbreak and public health emergency. “Africa,” they said, “appears to be not only the ancestral cradle of humankind, but also the spawning ground of many zoonotic diseases, especially arboviruses. The review team, which cited 285 scientific papers, said epidemics in recent years of zika virus in South and Central America, and yellow fever virus in Africa and Brazil, served as reminders of the dramatic manner in which apparently passive or stable zoonoses can flare up or spread with serious international public health, social and economic consequences. West Nile virus, one of a range of arboviruses that can infect horses and humans, caused a stir when first diagnosed in the United States in 1999. It soon spread to Canada and Central America. The global population increase forecast by the United Nations over the next 30 years will likely favour the spread and impact of zoonoses, they said. “Large human population increases will be associated with increasing population density which facilitates transmission of viruses either directly or through vectors. “There will also be increased international movement of people by way of migration, tourism or business travel thereby increasing the likelihood of more frequent dissemination of infective sources. “Similarly, there will be increased global movement of cargo and trade goods facilitating the spread of vectors, increased land transformation and disruption of historical ecological processes which promotes contact between humans and infected wildlife or sylvatic vectors. They said a disproportionately high percentage of the mosquito-borne arboviruses having serious public health impacts at a global scale is of African origin. There are arboviruses circulating within immunologically adapted African populations largely having little history of serious symptoms. The public health consequences of these viruses entering immunologically naïve populations in new geographical settings are difficult to predict, they said. The review team comprised Braack, Paulo Gouveia de Almeida, Anthony Cornel, Robert Swanepoel and Christiaan de Jager, all linked to the University of Pretoria. Leo Braack, A. Paulo Gouveia de Almeida, Anthony J. Cornel, Robert Swanepoel and Christiaan de Jager.